I entered the immense foyer of a large, metropolitan megachurch. I was there to speak at a church sponsored mission conference. The senior pastor greeted me with a broad smile, expressing his excitement about my involvement in this important event in the life of the church. “We’re a mission church,” he said. Hundreds of members volunteer in the city, travel abroad on mission trips, and give generous financial support to ministries locally and around the globe. Many of his members had read Toxic Charity, he told me, which had created no small stir. But the church was ready to make significant changes. The missions committee had unanimously agreed that the time was right for “someone like Bob Lupton” to be invited to speak to the congregation. As the pastor escorted me through the expansive foyer, my attention was captured by hundreds of large plastic containers that lined the wall, stacked nearly to the ceiling. They appeared to be filled with toys. “That’s a lot of toys,” I commented as we walked past. “Our goal was to fill one thousand containers!” The pastor smiled. “We made it!” He was obviously delighted by his congregation’s overwhelming response. That’s when I knew I was in trouble. One of the stories I recounted in Toxic Charity was witnessing the humiliation of some of my neighbors as compassionate strangers delivered to their homes Christmas gifts for their children. It was a program I had named Adopt-a-Family. It was intended to bring joy to the children of our community, children who would not otherwise receive any presents. What I had failed to anticipate was the effect this benevolence would have on the parents of these children. Not until I was sitting in the living rooms of recipient families when the gift-bearing families arrived did I observe the humiliation of struggling parents. Their inability to provide for their own was exposed – in front of their own children. Mothers would endure this indignity, but it was more than a father’s self-esteem could bear. Dads slipped quietly out the back door. I related this story in Toxic Charity. And I explained how we converted Adopt-a-Family into Dignity for Dads – a Christmas store where parents in our community could purchase toys for their children at greatly reduced prices. I explained how thrilled parents were to find bargains and how much they preferred to purchase toys for their children rather than stand in the free toy lines with their proof of poverty and accept toys others had provided. Unemployed parents could also participate, working in the Christmas store to earn money so they, too, could purchase gifts for their family. 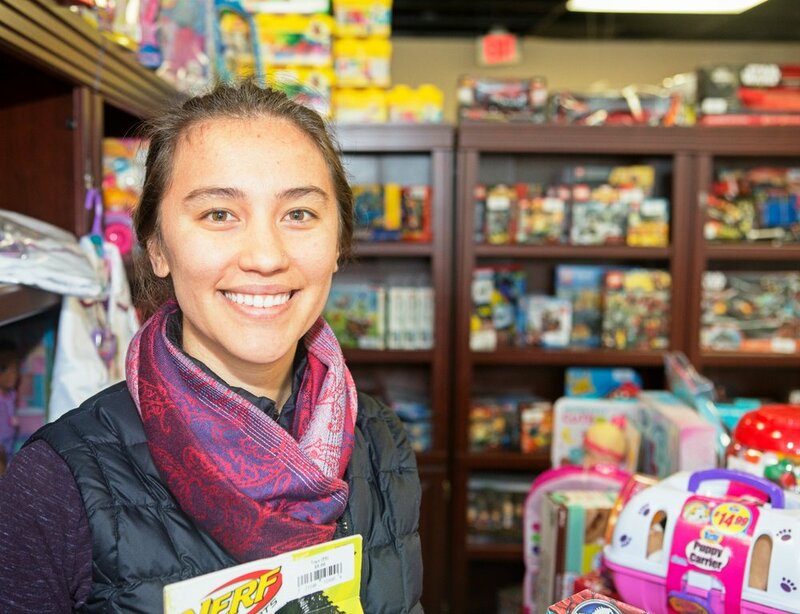 After reading this story, how could the leadership of this church invite me to speak – just after a successful drive that stacked their vestibule to the ceiling with free toys to distribute to poor children in the city? Was I their hired gun brought in to convince the congregation that there was a better way to do their charity? Yes, I knew I was in trouble! “So what are you going to do with all these toys?” I probed. What an enormous relief! This church gets it. No need for an out-of-town prophet here. I can celebrate with them their successful Christmas toy campaign and affirm their enlightened paradigm of care for the poor of their city. Charity with dignity – what a welcome change! And it is happening all across the land. Churches and businesses, non-profits and social service agencies are recognizing the need to abandon soft-hearted, dependency-producing, dignity-depleting methods of charity in favor of initiatives that actually empower the poor. They are recognizing that what a child really needs – even more than a toy for Christmas – is effective parents. This is very good news indeed for those who are striving to escape poverty’s entrapment. Join in the movement, won’t you? Pride for Parents is one of FCS’s early empowerment successes that has impacted thousands of families here in Atlanta and is spreading to cities and towns throughout the country. Engage your church or business in a toy campaign. Take your family on a Christmas shopping trip that ends up at our Christmas store. Celebrate the season in the joy of knowing that your giving will have lasting impact well beyond the holiday season.